Company financial and security risk associated with enterprise data left on end-of-life corporate-liable devices is a legitimate and growing concern. The cost of data breaches is on the rise. Even when employees or MDM software is resetting a device to factory settings and wiping data, it doesn’t deter individuals with nefarious intent from extracting private information from a discarded device. A recent IBM study cites a six percent data breach increase from 2017 to 2018 where a single breach can cost a company millions of dollars. 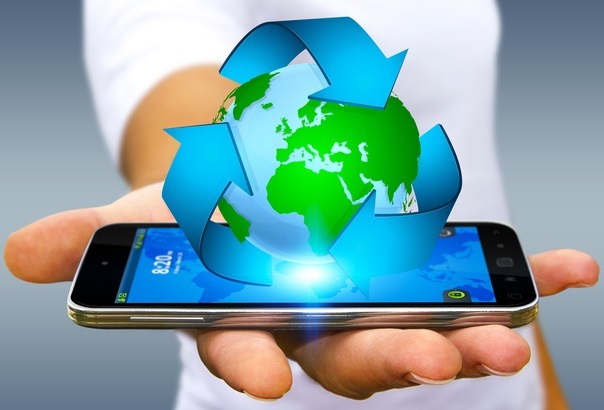 To address this growing security concern, along with an expanding interest in environmentally conscious mobile device disposal, MobilSense has partnered with a certified recycle and disposal company. Our partner provides a one-stop shop for certified wiping and environmentally friendly disposal that now integrates with our MobilSentry™ Order Manager capabilities. This new lifecycle service is included at no additional cost to clients already utilizing Order Manager, and it’s easy to get started. How does MobilSense Lifecycle work? Each approved upgrade order placed via Order Manager will generate a request for delivery return box, shipping label, and packaging materials, sent to the same address the previous upgrade device was shipped. Once the new device is activated, the employee places the old device in the return box for wiping and recycling. Why is my mobile data still at risk if I have reset my device to factory settings? To wipe the data successfully from a device no longer in service requires the expertise of a certified organization who meets industry and government standards. Complete data destruction cannot be accomplished with the tools provided by the device manufacturer; it requires supplemental technology and expertise to successfully wipe the data. Most mobile phones contain plastics and precious metals that when placed in a landfill can pollute the air and contaminate the soil and drinking water. Recycling old mobile phones promotes a positive impact on the environment by protecting natural resources.